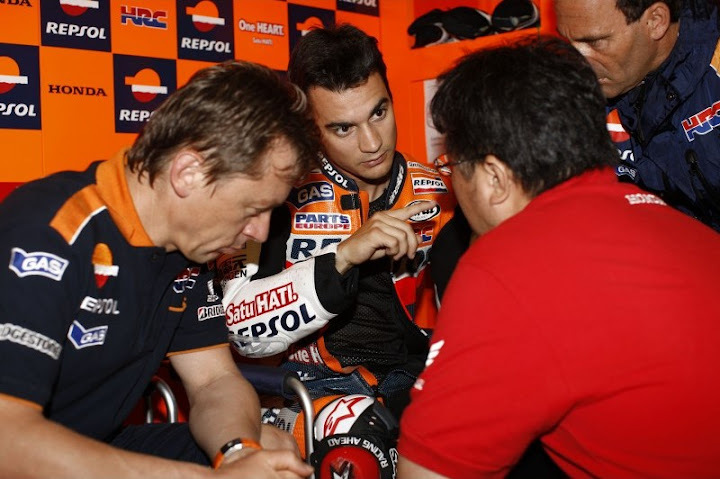 Dani Pedrosa come to Silverstone this weekend after a test at Catalunya last Monday. Pedrosa hope for a dry condition on Great Britain GP to achieve a good result. Pedrosa said, "I missed the Silverstone race last year due to my injury, so I'm especially excited to go back racing at this track. As I said after the test we did in Catalunya, we were working a lot on different settings on the bike, we had some improvements and I hope we can make another step forward in Silverstone." He continue, "It's a fast track, with many changes of direction and we need an agile bike and a good set up for both the fast and slow corners. In Britain, the weather is always very unstable, but let's see if we are lucky this time and we can enjoy dry conditions."